This guitar was purchased by a Yahoo! Groups member in 2001. It was originally custom made for and presented to Fred Newell, staff guitarist on TNN's "Nashville Now" program throughout the 80's and early 90's. 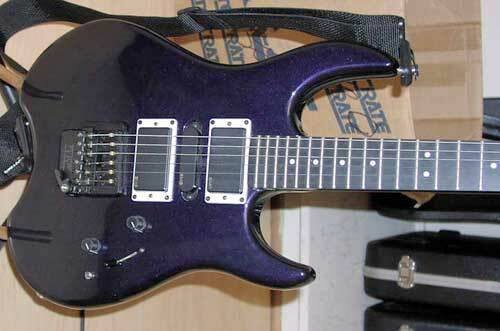 This is a GS7TA guitar and features a metallic purple body mated to a rare white gel coat neck. 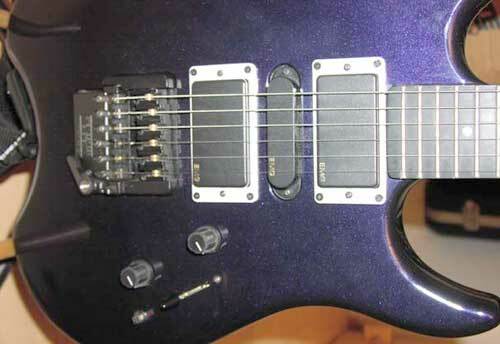 The name 'FRED NEWELL' is stamped on the neck where the serial number would be. Included paperwork indicates the actual serial number is N13907. White pickup rings add a nice complimentary touch.